DayzeesStudio – Handmade, unique bags and pouches for you and your journals! Here’s a little sneak preview of what I’m currently working on for the shop! Wristlet clutches are perfect when you don’t need to carry a large bag. They offer plenty of space for your wallet, cell phone, keys and more! 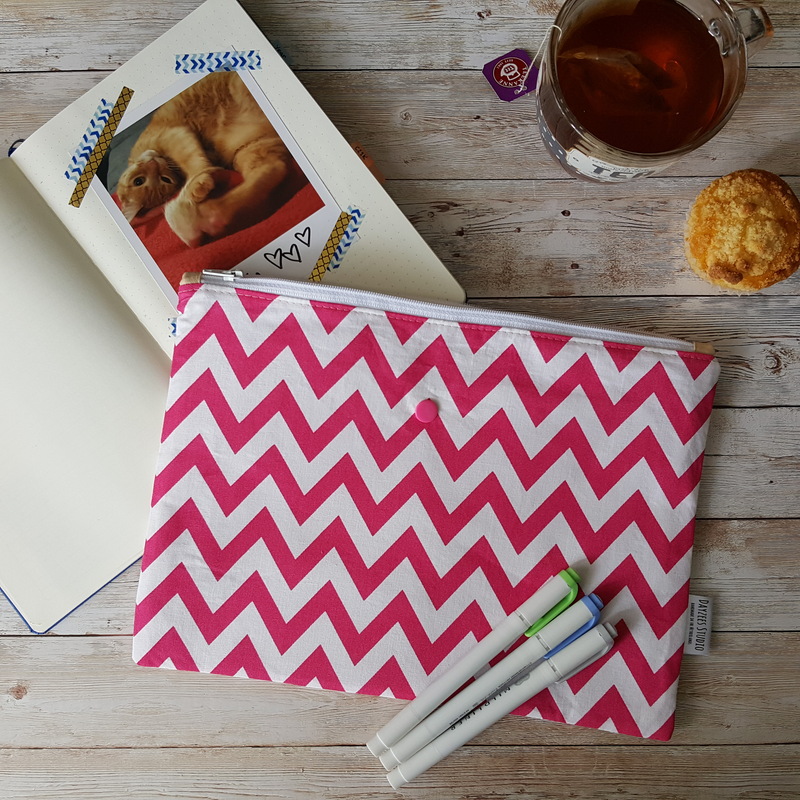 The colourful interior features a zippered pocket and a large slip pocket with a separate section to keep a pen in, so you don’t have to search for it at the bottom of your bag anymore! Five different designs will be added to the shop soon, one of them in the beautiful origami crane print shown in the pictures. I’m happy to create custom orders, so if you’ve spotted a print you love in my shop and would like a clutch made for you, feel free to contact me! Author dayzeesstudioPosted on February 6, 2018 Categories Etsy shop, Studio updatesTags bullet journal, journal pouches, New, StudioLeave a comment on New bullet journal cases! **Giveaway closed! ** Would you like a free handmade A5 journal case of your choice from my shop? Join my Instagram giveaway for a chance to win! Author dayzeesstudioPosted on December 22, 2017 January 9, 2018 Categories Etsy shopTags bullet journal, christmas, giveaway, journal pouches, StudioLeave a comment on Holiday Giveaway!